Punta Arenas has 116005 inhabitants and is the capital of the XII Region of Magallanes and the Chilean Antartic. Its economy is based on the services it offers mainly because of its coal and hidrocarbure mine, the sheep cattle and the fishing industry. It is also an important harbour for big ships and boats. The city has kept the style from the first villagers with ancient houses, the square, the cemetery and the main commercial street. There are recent works which keep this tradition such as Sara Braun mansion and the Cabo de Hornos Grand Hotel, public buildings and offices from big companies , parks, museums, the harbour and the airport. The city was founded in 1848, due to the population coming from Fuerte Bulnes to this place called Sandy Point (Punto Arenosa) in the first sailing letters carried by the English expeditions. Fuerte Bulnes was not the appropiatte place to settle down so José Santos Mardones, governor and the major,chose this place because it had firewood. water, a harbour, a bigger surface and better climate to face up with the southern weather. 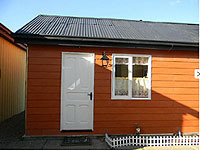 Cabañas en Punta Arenas. Información detallada, imágenes, precios y descuentos de Cabañas en Punta Arenas. Excelentes ofertas de Cabañas en Punta Arenas. Detalles e información de alojamientos en la ciudad de Punta Arenas. Cabañas , Aparts y spa para disfrutar de las vacaciones junto a toda la familia. Consulta los precios de cabañas en Punta Arenas. Tenemos el listado más amplio de Cabañas y Aparts baratos en Punta Arenas y alojamientos de primera categoría. Además, información de excursiones, paseos y rutas gastronómicas.